This is Ryan Baldwin. 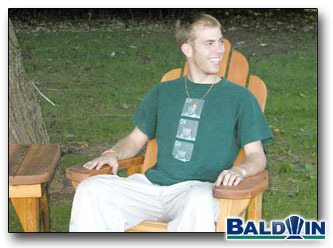 He is six feet tall and feels at ease in a Classic Lawn Chair. When he leans back his head will be supported by the backrest. The cushions will work on a Lawn Chair as well as a Baldwin Adirondack Chair.